CrewLink™ - Wired & Wireless Intercom System | Livewire Digital Ltd.
Add your corporate branding to the Client app from the server. Simple web menu with status and diagnostic tools and plug and play operation. The CrewLink Server is a small, lightweight unit that is powered using passive Power Over Ethernet (PoE) technology, allowing the unit to be readily mounted in the most convenient place. Some networks can already supply power, but for those that cannot a small power injector is available. 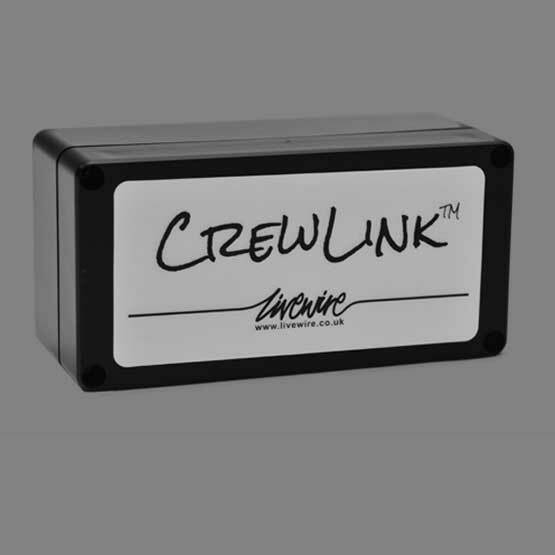 The CrewLink wired consoles are small, lightweight units that must be wired directly to the CrewLink Server unit. The machined aluminium housing is designed to be waterproof and is able to withstand exposure to extreme environments, including salt water. Each CrewLink Server unit can support two wired handsets. By downloading the CrewLink app from the iTunes App Store, an iPhone or iPad can be used as a wireless CrewLink handset. In the near future, clients will be available for Android, OSX and Windows.